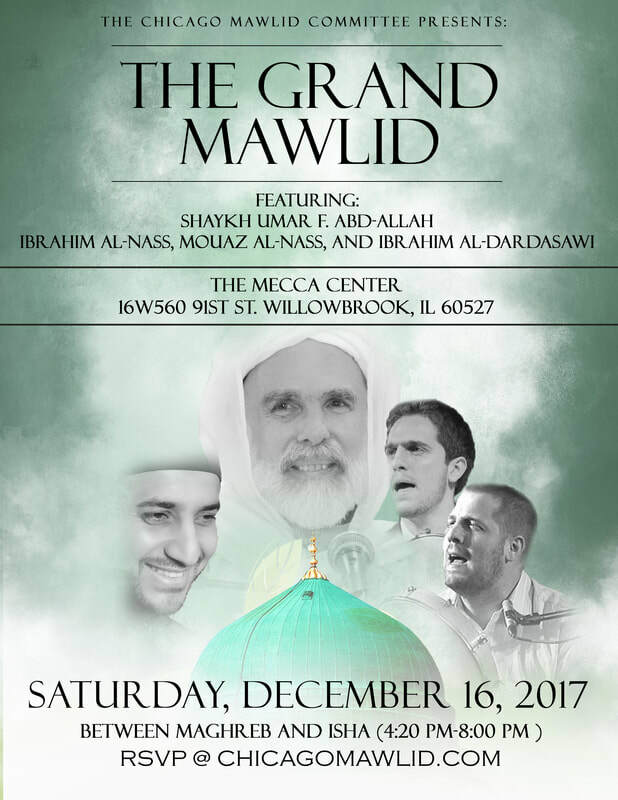 Alhamdulillah, we are expecting over 1000 people to join us for the Grand Mawlid! To make this night as smooth as possible, it's VERY important to read the announcements below and follow them carefully. 3) Church (110 parking spots)- accessible heading south on Kingery. 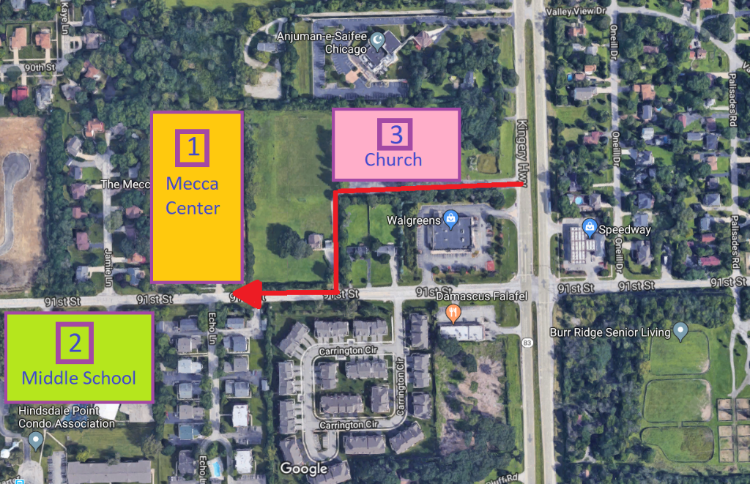 After parking, follow the walking path in red to reach The Mecca Center. You are NOT allowed to park at Walgreens. Do NOT double park, as doing so may result in a ticket. Although it is our custom to provide food for all our attendees at The Grand Mawlid, unfortunately due to the amount of attendees and logistical space issues we are not able to do that this year. Dessert will be provided after the event. There is absolutely NO food or drink permitted in the gym under any circumstances. Please respect the Mecca Center and its rules. Download and print the PDF of The Shimmering Light and bring your own copy to the Mawlid on Saturday so you can follow along! Click below for the packet.